88 miles of rugged shoreline dotted with many islands and bays. 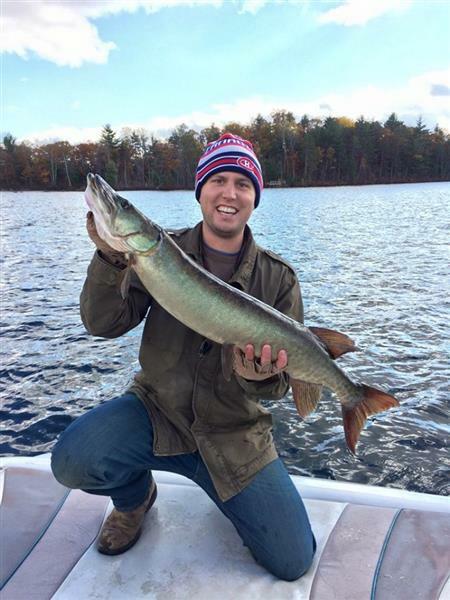 13 natural spawning sites, which continue to increase the muskie population. A lake structure of mainly northern granite and limestone which offsets the effects of acid rain. Depth ranges from a few feet to over 115 ft. Average depth is approximately 20 ft.
Large areas of “cabbage” weeds and back bays with lily pads and stumps. 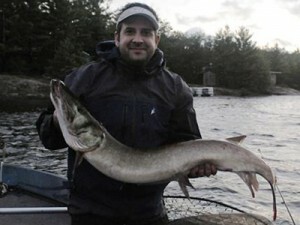 Over the years, Blue Mountain Lodge has hosted several Muskie Canada Live Release tournaments. 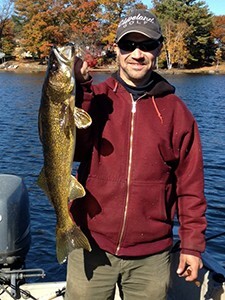 These tournaments were successful with ample numbers of fish boated and released …. 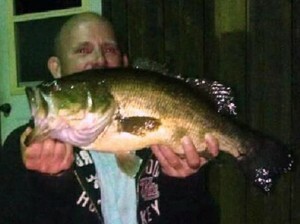 to be caught another day! 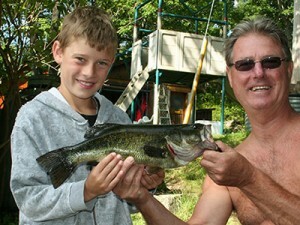 Lake Kasshabog also has an excellent small-mouth and large-mouth bass population. 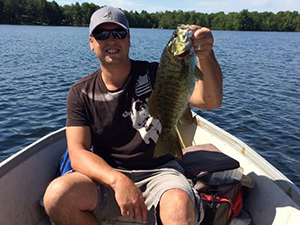 With the lake consisting of many islands, bays and weedbeds, there is always another hotspot to discover. 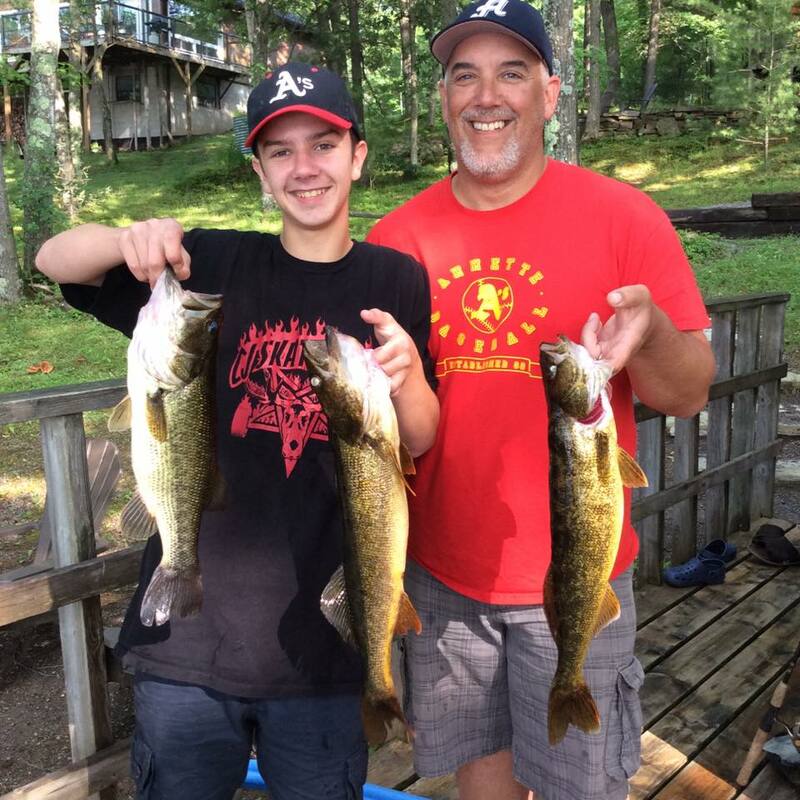 Large-mouth weighing up to 7 pounds have been caught right off of our docks while small perch and panfish provide hours of fishing entertainment for the kids. 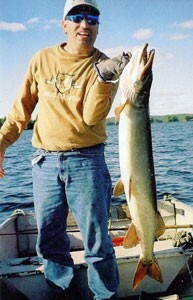 Pickerel were reintroduced to Lake Kasshabog in the early 2000’s with a continuous stocking program by the Ministry of Natural Resources (MNR). 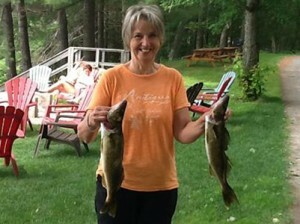 The pickerel have begun to reproduce and now we have a vibrant pickerel population. 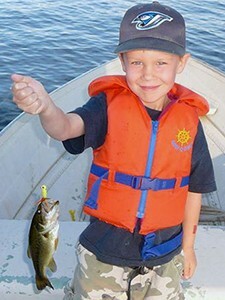 Fish sizes range from 14” to 25”. 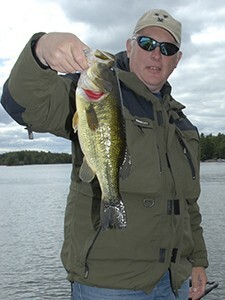 Kasshabog has many weed beds and drop offs providing excellent habitat for walleye.